Have you ever felt Hopeless for the Holidays? 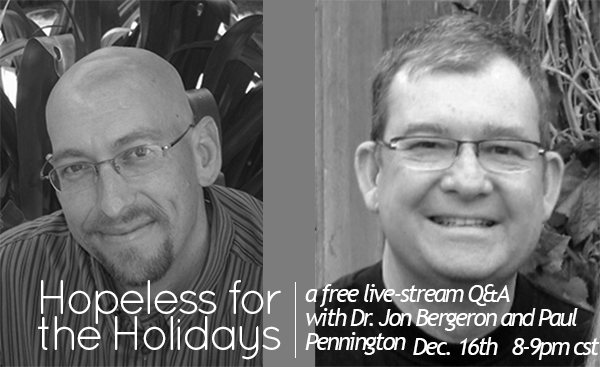 Join Jon Bergeron, Ph.D. and Paul Pennington from Hope for Orphans as Dr. Bergeron fields questions from viewers about the challenging issues that can often surface for adoptive and foster families during the holiday season. Join us on Dec. 16th from 8-9pm Central, and hear insightful and practical answers from a child psychologist and adoptive father who has personally faced the challenges that the holidays can bring. Register for the live Q&A and find out how to submit your questions. And please share this with friends!